This is following the government of Antigua and Barbuda's Budget Speech on Thursday, when Prime Minister Gaston Browne made the announcement of the 'impressive' tourism arrivals. The destination attracted a total of 1,081,365 visitors in 2018. This is an increase in arrivals from 2017, when Antigua and Barbuda hit the one million visitor mark for the first time with 1,059,924 visitors. The most impressive growth was seen in stayover (air) arrivals, where the destination attracted over 20,000 more stayover visitors in 2018 than in 2017. This brought the total number of stayover visitors who arrived via the V.C. Bird International Airport to 268,949. This represents an 8.75 percent increase in stayover arrivals for the year 2018. The destination also received more cruise visitors, with cruise arrivals totaling 792,873, while arrivals by yacht totaled 19,543. The destination experienced month-on-month stayover growth for the majority of the year, with a strong finish in December 2018, when demand for the destination rose by 6 percent during that month compared to the previous December. Overall stayover arrivals for the year, showed the strongest growth from the Canadian market with a 66 percent increase in arrivals. The US market, where most of the destination's visitors were derived from, saw an 8 percent growth, while the UK market, the second largest source market held its own; remaining flat mainly due to the uncertainties of Brexit that have suppressed outbound travel from the UK. The Caribbean market also recorded an increase. James also noted that the Antigua and Barbuda Tourism Authority is set to launch a global summer marketing campaign that will focus on creating demand for the destination during the traditional summer off-season, with value-added offers. This will boost visitor arrivals to the destination at a time when many hotels have excess capacity. 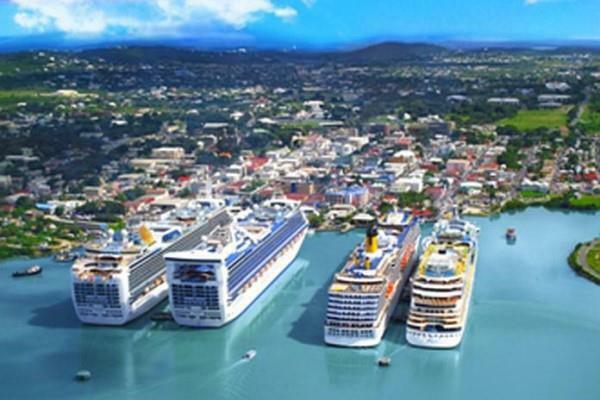 Antigua and Barbuda has seen the tangible results of growth in tourism with the country recording economic growth of 5.3 percent in 2018, making the destination the fastest growing in the entire CARICOM area.